The deal: Monday night Pub Burger Night means you’re getting a burger + fries for $9.50; or two burgers + two fries + two cans of Karbach for $18. Savings: $4.49 on a single burger; $18.98 on the double burger and beer deal. The deal: Get half off of the bar menu during happy hour (Tues-Fri 3-7pm). Right now, that means the crispy chicken burger is cheap, son. 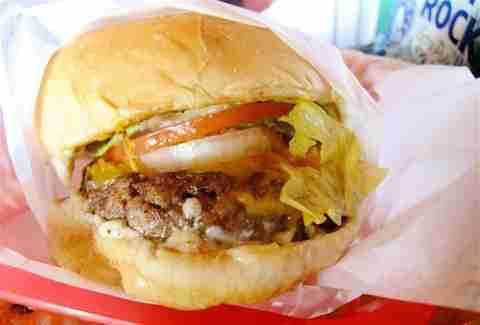 The deal: Wednesday BOGO burgers on all of its killer half-pound burgers from open ‘til close. 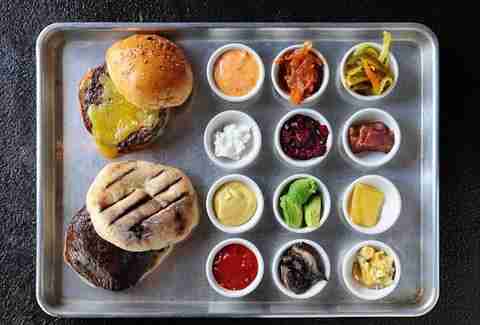 The deal: Half-price burgers on Mondays & $5 sliders on Tuesdays. 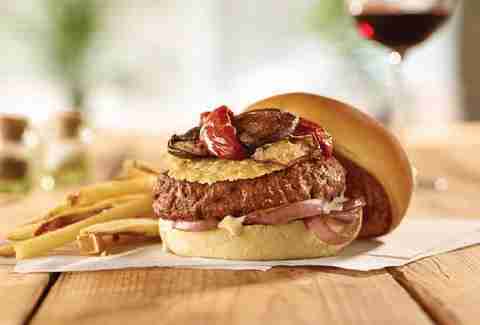 The deal: On Monday nights, get two massive 100% Angus sirloin burgers for the price of one. The deal: The Monday special means all cheeseburgers and mini burgers are $5. 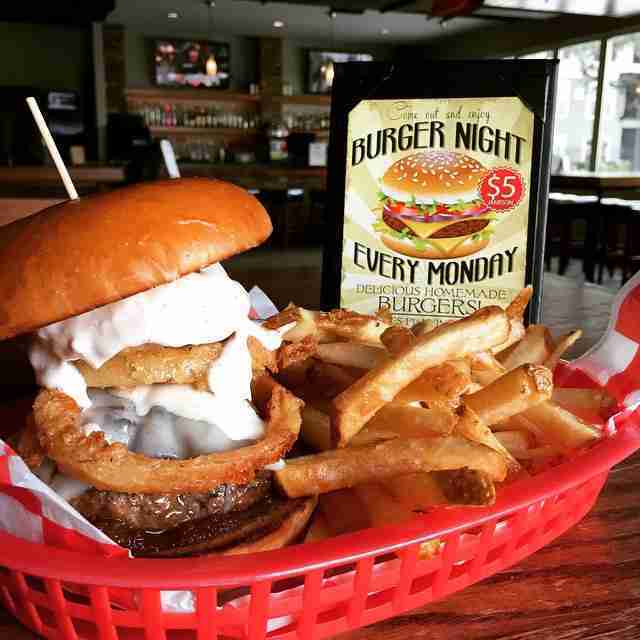 The deal: $5 off all burgers every Monday. Savings: Hold on let us calculate. Okay, $5. The deal: Get $7 burger baskets with fries from 4pm 'til the kitchen closes every Tuesday (Heights and Midtown locations). Trivia night starts at 8pm. Savings: You only save $1.49, but it is one of the best burgers in town. 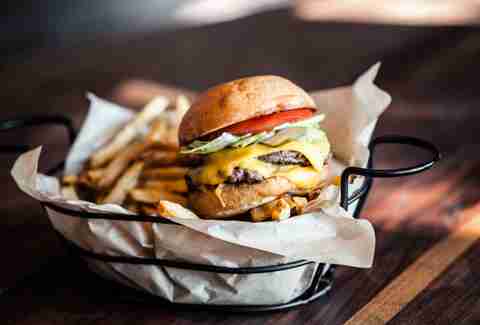 The deal: The Beer and a Bite lunch special features a one-third-pound Rudz burger, your choice of side, and a 16oz Lone Star or Shiner Bock for $8.50. Get it from 11:30am to 3pm every day and all day on Sunday. The deal: Hit the restaurant during lunch hours (til 3pm) to get the same tasty Lone Star and Kimchi burgers on the cheap. 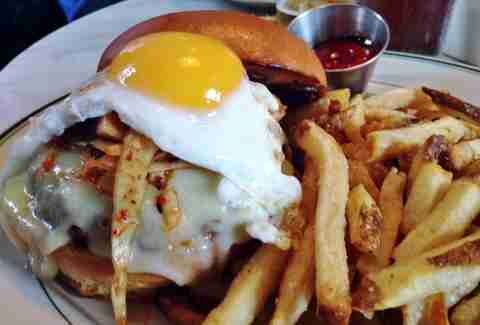 The deal: Sit at the bar to get a bacon-marmalade topped, Kobe beef M Bistro Burger and fries for $10. 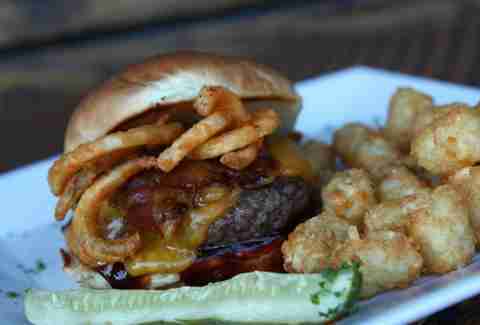 The deal: Get overloaded, juicy burgers with hand-cut fries or onion rings for just $9 on Mondays (+ $2 for Buffalo Burgers). 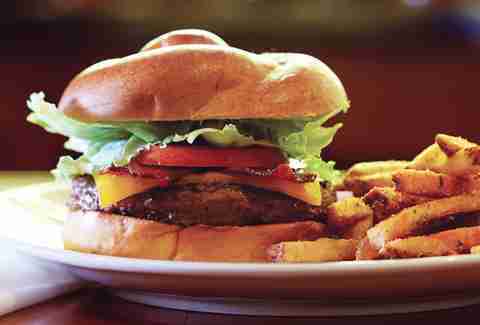 The deal: Settle those midweek munchies with half-price Pub Burgers from 11am to 2pm on Wednesdays. 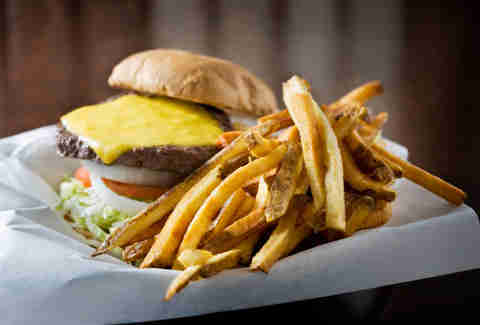 Get a burger and fries for as low as $3.50. 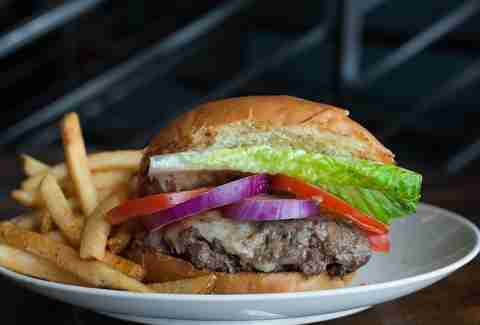 The deal: Hit happy hour to get the Prime Burger for $7 until 7pm, or $9 until 10 pm. 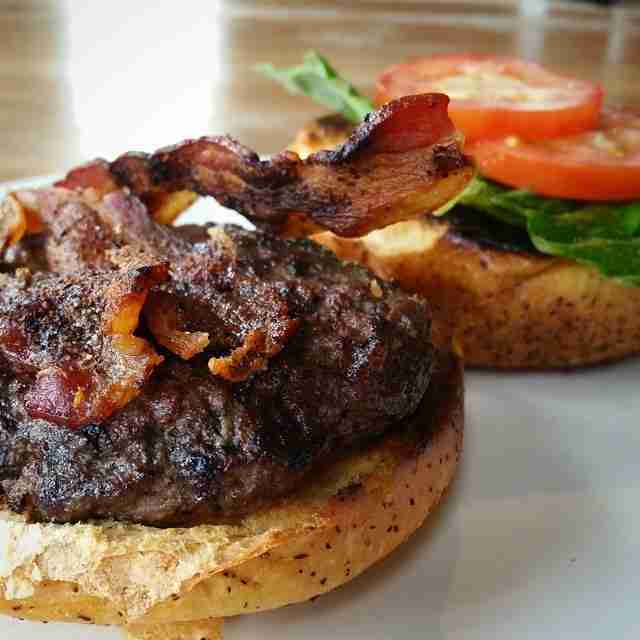 The deal: On Mondays, get two seriously good Cease and Desist Burgers and two cans of Buffalo Bayou 1836 for $18.36. The deal: Tuesday night is Burger Night. 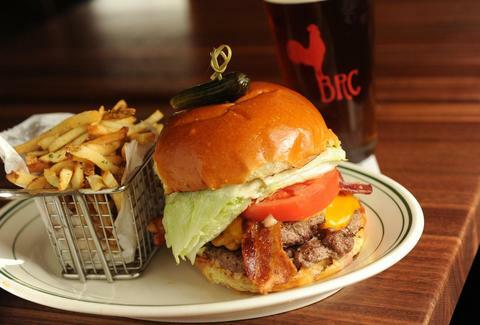 Get one-third-pound burgers on house-made buns and a side of fries for $7 from 4-7pm. 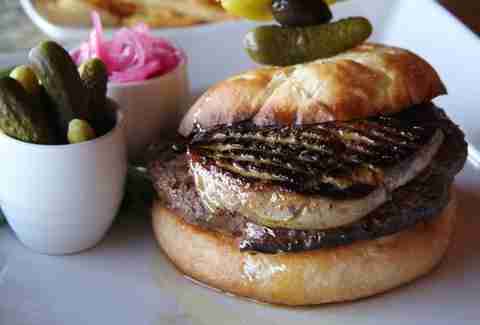 The deal includes specialty burgers like the Brisket Blue and Umami Burger. The deal: Get $5 Green Chile Burger baskets (plus $2 Tecates and $3 shots of Espolòn) on Thursdays.